Adapted from Daniel Clowes’ graphic novel of the same name, Wilson has none of the charm or sleek narrative as Clowes earlier work. Try as you may, you will find it very hard to get excited about this adaptation the same way most of us were when we came across Clowes' other highly popular graphic novel Ghost World, which was adapted to the screen by Terry Zwigoff, Staring Woody Harrelson and directed by Craig Johnson, Wilson is not so much a character study into middle-age, but more of a cautionary tale revolving around an antisocial neurotic curmudgeon who hates everyone and everything. Wilson (Harrelson) has spent his life bitching, whining and blaming everyone else for his failures. His wife left him years ago, and the only friend he’s ever had is moving, one suspect mostly to get away from his constant badgering and demands. After the death of his father, Wilson has an epiphany of sorts which compels him to seek out his equally messed up ex wife Pippi (Laura Dern), in the hope of feeling like he’s not alone in the world. When he learns that Pippi never did have the abortion she was planning on having all those years ago, choosing instead to have the baby girl adopted, Wilson is determined to find the girl and establish a father/daughter rapport with her. Things don't quite go to plans when Wilson and Pippi are reunited with their unsuspecting teenage daughter who has until now been living with her adoptive parents in an affluent suburb of California. Wilson wouldn’t be so bad had Johnson not told the bulk of the story in the first forty five minutes, leaving him trying to pad out for the rest of the film. With a dialogue packed full of genuinely funny one-liners, the film has its moments and Woody Harrelson manages to put in an impressive comedic turn. 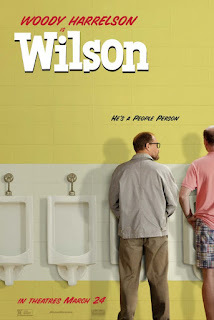 Having said that, the problem with Wilson is that the principle character is just not very believable. Yes his objections to modern life are in many ways rather commendable, he doesn't own a smart phone and thinks any adult who does is just trying too hard, but on the whole Wilson falls at the first hurdle by offering a character you really don’t feel like rooting for. On the whole, an enjoyable expletive laden 90 minutes which will have you howling with laughter, but the film is ultimately sadly let down by a flimsy screenplay and a truly ludicrous storyline. Crew Director: Craig Johnson. Screenplay: Daniel Clowes. Starring Woody Harrelson, Laura Dern, Judy Greer, Margo Martindale, Cheryl Hines, Isabella Amara. 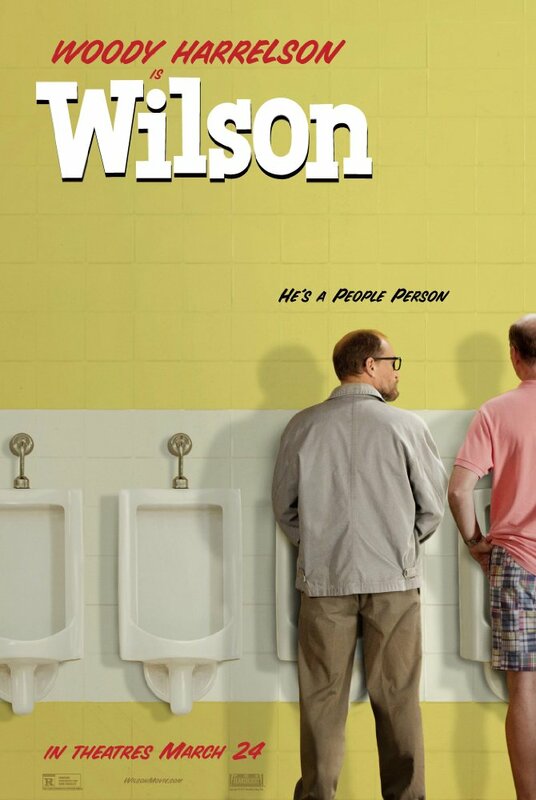 Wilson is out on Friday 9th of June.